What a fantastic Winter day's sailing! Winds were light to medium, plenty of opportunity to stretch the legs and glorious sunshine hinted at the first signs of spring! 41 RS Aero were entered and 38 made the start line. 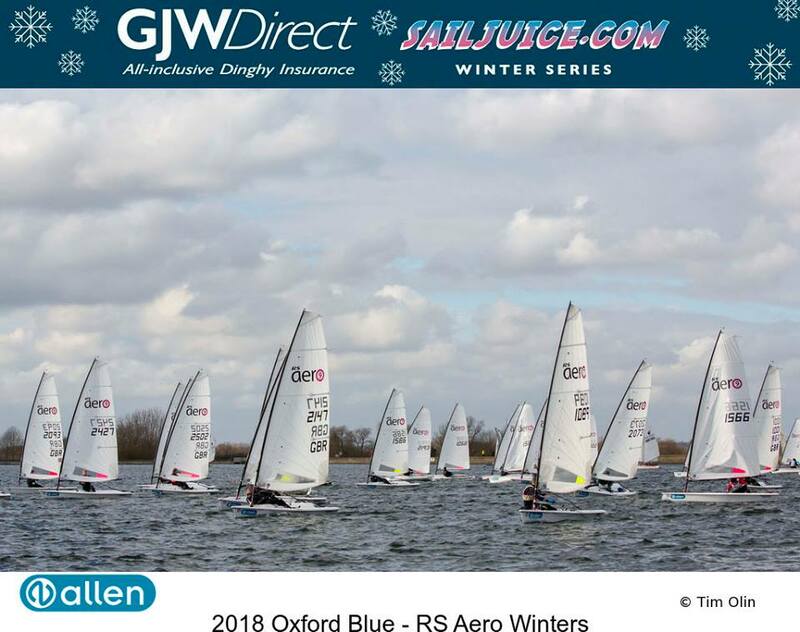 Such a massive gathering of RS Aeros again in February was over a third of the overall fleet and the RS Aeros had a start line for themselves providing the best of both worlds - and dedicated RS Aero race within the larger 115 boat mixed class Oxford Blue average lap PY timings. Starts were tight and several bad boys (but no bad girls) got caught OCS in Race 1. The beats proved incredibly hard to read and tacking on an obvious shift could often send you off into a poor direction! As Lady Luck flittered through the fleet, hopefully averaging out her charms a little, those who could get it 'about right, more often than not', where well rewarded. 12 Youths (U19) from the 38 starters is a record proportion and a testament to the emergence of good second hand 2-3 year old RS Aero stock coming onto the market to satisfy a pent up demand to buy pre-loved RS Aeros from the younger generation. 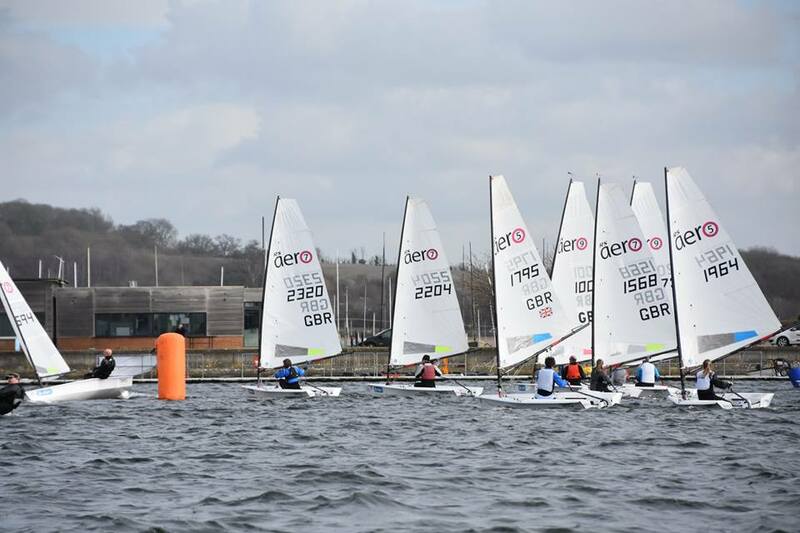 That influx of fresh young talent is already making its mark with all three races won by young sailors! Charlie Sansom (RS Aero 9, Bowmoor) pulled away from the fleet in Race 1 to score 1st RS Aero and a fabulous 3rd overall from 115 starters on PY. In Race 2 with a good hiking breeze, defending Champ, Liam Willis (RS Aero 9, Lymington Town), lent back to share a tie break win with RS Aero 7 World Champion, Steve Cockerill (RS Aero 7, Stokes Bay), unsplittable on average lap PY timing. In Race 3 Roscoe Martin (RS Aero 7, Ogston) read the start and first beat to perfection (but paid little attention to rig size!) to jump ahead and lead the whole fleet, all RS Aero 9s included, around the first two laps to take the RS Aero win and a splendid 4th overall! On a tricky day in a huge fleet constancy proved key. With 2 out of 3 results required for a series the experience in the old guard of Barton & Cockerill succeeded over the charge from the Aero Youth. Peter Barton (RS Aero 9, Lymington Town) took the RS Aero UK Winter Championship win with two 2nds and 4 pts, just half a point ahead of Steve Cockerill in 2nd with 4.5 pts and Roscoe Martin 3rd and top Youth with 5 pts. Top Lady was Sarah Cockerill (RS Aero 7, Stokes Bay) in 10th, a few points up on Top Youth Lady, Caitlin Atkin (RS Aero 7, Whitstable). Steve Cockerill took the Masters title with Gareth Griffiths (RS Aero 9, Island Barn) runner up. Overal the RS Aeros gave a good showing with the top five RS Aeros packing out 11th-18th in the overall results from 115 starters. 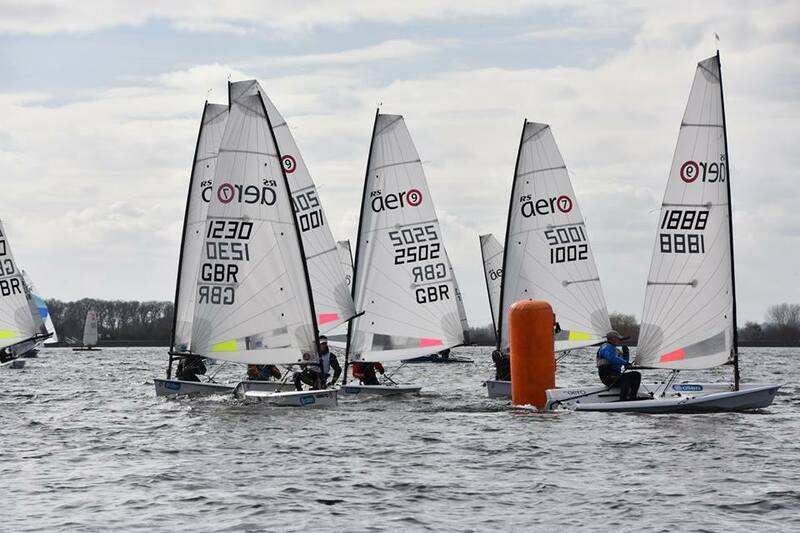 The RS Aeros were spread quite evenly through the overall fleet and it was noticeable that on the day the mix of RS Aero 7s and 9s in the results was pretty even on PY. A celebration came in the launching of RS Aero 2502, the 1502nd production RS Aero to hit the water in 3 years! It was nice to see her racing alongside 1001 and 1002, the first two production RS Aeros from 2014! The prize giving of the RS Aero UK Winter Championship will take place at the RS Aero UK Spring Champs at Burghfield SC on 14th April. 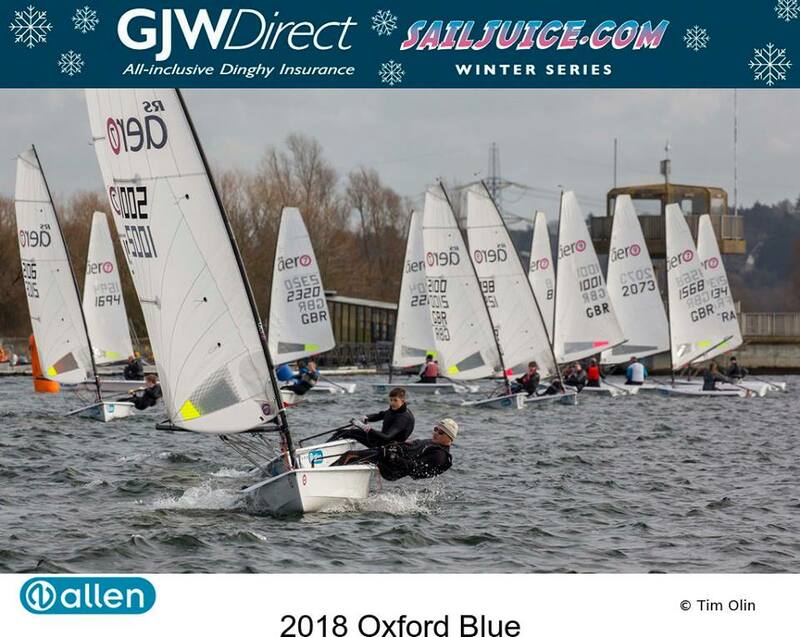 The Oxford Blue was round 6 of the RS Aero UK Winter Series and all sailors completing 3 of the 10 events will be entered into the Prize Draw for a 50% discount voucher on a new RS Aero sail to get set for the new season!